A group called Women on 20s has added the late Wilma Mankiller, the first woman elected to lead the Cherokee Nation, to its final ballot. The group hopes to convince President Barack Obama to put a woman on the $20 bill. But of the 15 candidates that were named as a replacement for president Andrew Jackson, none represented Indian Country up until now. “Because of strong public sentiment that people should have the choice of a Native American to replace Andrew Jackson, Cherokee Nation Chief Wilma Mankiller, was added to the final ballot,” the group wrote on its website. Ginnie Graham, a columnist for The Tulsa World, brought up Mankiller last month and called her the most suitable person for the bill. “A best statement would be to honor a Native American in place of the president who was called ‘Indian Killer,'” she wrote on March 18. Louise Erdrich, a member of the Turtle Mountain Band of Chippewa Indians, added her voice in a short piece for The New York Times on March 20. “A descendant of the survivors of that cruel march where some 4,000 peaceful people died, Wilma Mankiller led her people with forceful calm,” the award-winning author stated. 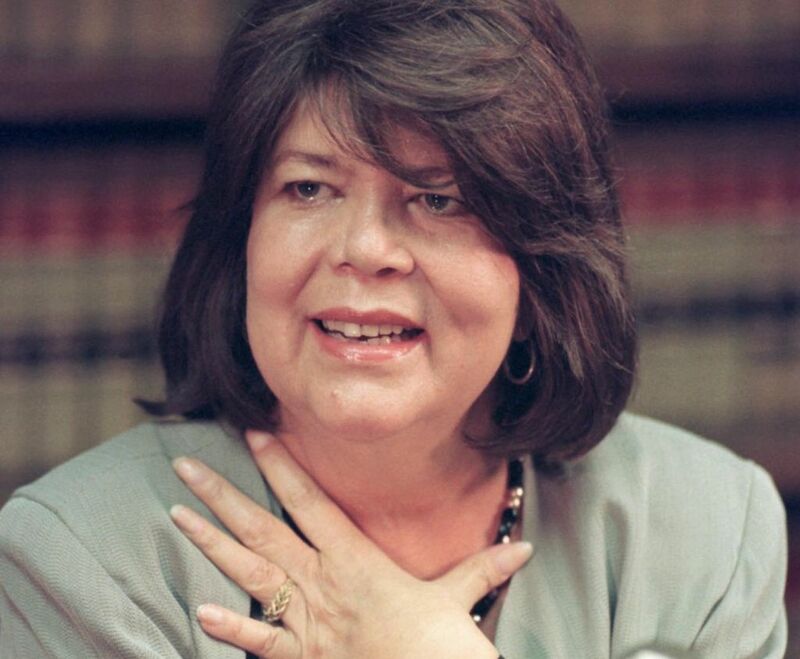 Mankiller now joins Harriet Tubman, Eleanor Roosevelt‎ and Rosa Parks‎ as the four finalists. Voting is open on the group’s website. This entry was posted in News, Top Story and tagged $20 bill, Andrew Jackson, Indian country, Wilma Mankiller, Women on 20s by Kim Kalliber. Bookmark the permalink.